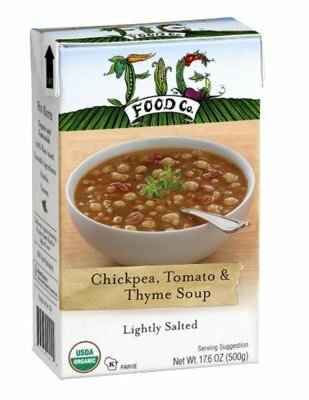 Fig Food Chickpea Tomato and Thyme Soup, 14.5 Ounce -- 6 per case. The delicate sweetness of chickpeas in a broth of tomato, extra virgin olive oil and thyme. A classic from Italys Umbrian region. Mangia! If you have any questions about this product by Fig Food, contact us by completing and submitting the form below. If you are looking for a specif part number, please include it with your message.